Obituary for Sarah M. "Sally" (Colletto) Mainini | Edwards Memorial Funeral Home, Inc.
Mrs. Sarah M. “Sally” (Colletto) Mainini, 94, of Plymouth MA and formerly of Milford MA and Scituate MA died Tuesday morning (September 11, 2018) at her residence after a period of declining health. She was the beloved wife of the late Raymond R. Mainini, who died in 2005. Mrs. Mainini was born in Waltham MA, the daughter of the late Salvatore and the late Mary (Gattuso) Colletto. She was a graduate Waltham High School, Class of 1941 and a graduate of Boston University, Class of 1945. She had been employed as a teacher at Pembroke Academy located in New Hampshire. While a resident of Milford she had been a longtime communicant of Sacred Heart of Jesus Church and a member of the church’s Womens Club. She was also a member the Milford Hospital Ladies Auxiliary. She also loved residing in Scituate MA and loved to cook and entertain her many friends. The family would like to acknowledge the wonderful care that she was afforded these last few years by her caretakers, especially Ingrid, Cristina and Judy. She is survived by 2 Daughters: Kathleen L., wife of Lyle Nyberg of Scituate MA and Mary Jane, wife of Brian Peoples of Plymouth MA; 6 Grandchildren: Alexandra Stuart and her husband Blake of Westwood MA, John Nyberg and his wife Brynn of Scituate MA, Christina Kelleher and her husband Garrett of Stoneham MA, Brandon Peoples and his fiancée Rachel of Hopkinton MA, Marissa Peoples of Boston MA, and Michaella Hulme and her husband Alex of Franklin MA; 7 Great Grandchildren: Priscilla Stuart, Ben Stuart, Madeline Stuart, Abigail Stuart, Lucy Nyberg, Logan Nyberg and Liam Kelleher; also several nieces, nephews & cousins. 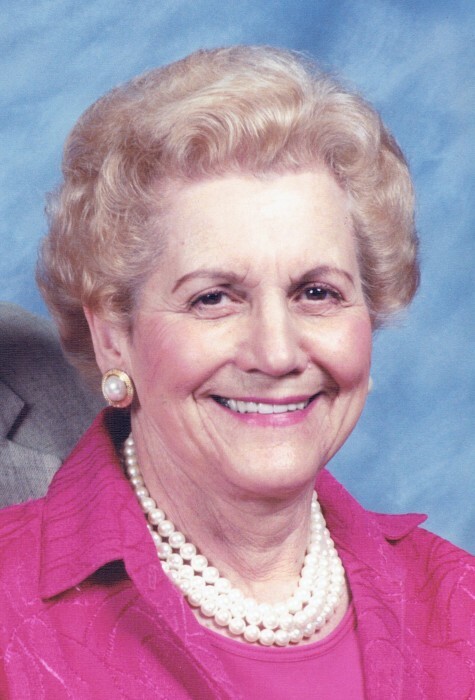 Mrs. Mainini was the sister of the late John Colletto and the late Joseph Colletto. Her funeral will be held Friday (September 14th) at 9am from the Edwards Memorial Funeral Home, 44 Congress Street, Milford MA followed by a Mass of Christian Burial at 10am in Sacred Heat of Jesus Church (UPPER CHURCH)), 7 East main Street, Milford MA. Burial will follow in St. Mary’s Cemetery in Milford MA. Visiting hours will be Thursday (September 13th) from 5pm to 7pm.